My dad sent in this catastrophic sign from a gas station in Lexington, Mass. Time to fuel up for Memorial Day travel. 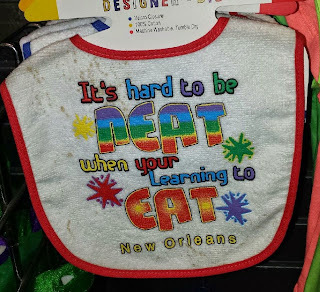 Alan sent me this catastrophic bib from New Orleans. Your learning is... flawed. Now I've lost my appetite. At least the baby wearing this bib can't read the catastrophe. 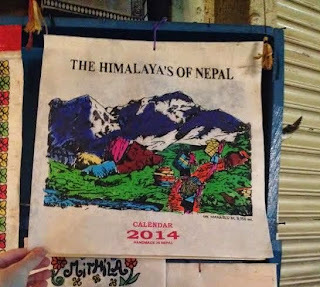 No, not that one. 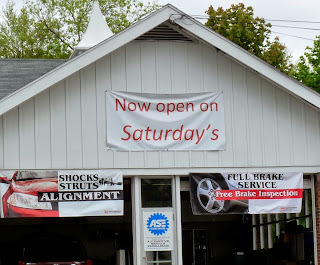 This is just an apostrophe catastrophe that my friend Carrie found during her travels.